Q Station is a unique hotel destination with so much to offer our visitors. Here is a collection of our favourite reviews, testimonials and experiences. To celebrate the release of #ITMovie, we threw a dinner party inside Sydney's most haunted venue. Beware The Plague! Welcome to My Quarantined Halloween Party! The 5 most haunted places in Australia! 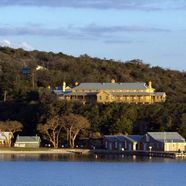 You can stay in this haunted Quarantine Station! Family friendly ghost tours in Sydney. Go hunting for Sydney's most restless spirits! 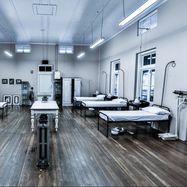 Creepy Quarantine – Ghost Tours of Manly Q Station. Celebrate Halloween at these haunted hotels. OMG Would you stay here?! Get ready to go on a ghost tour! Twelve of the Spookiest Events Happening in Sydney this Halloween. 10 of the most haunted hotels in the world. Join WedShed for their annual Xmas bash! ​Alice in Wonderland photo shoot. Top 10 Things to do in Sydney for your next school excursion!